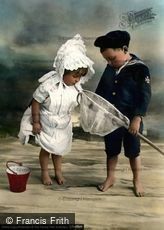 Charming, whimsical Victorian images by John H. Coath FRPS, a photographer based at the Fore Street Studio at Liskeard in Cornwall. 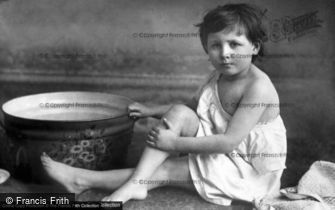 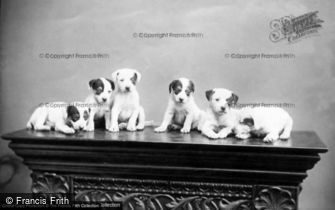 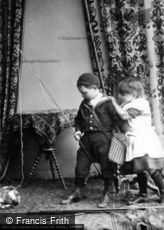 John Henry Coath FRPS was a photographer based at the Fore Street Studio at Liskeard in Cornwall, who was active in the late 19th and early 20th centuries. 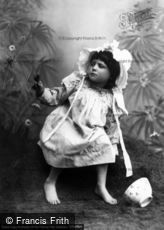 He was elected a member of the Royal Photographic Society in 1895 and a Fellow of the RPS in 1896. 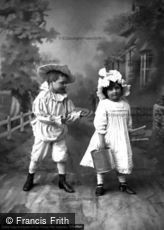 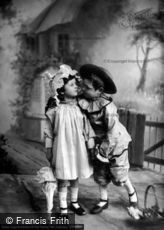 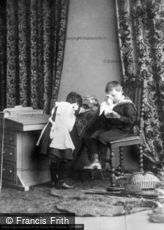 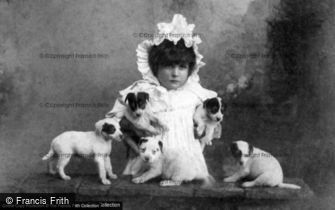 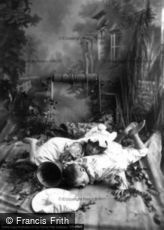 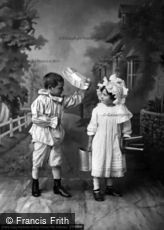 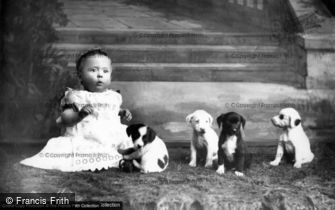 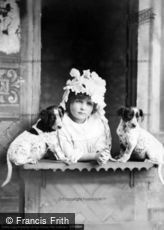 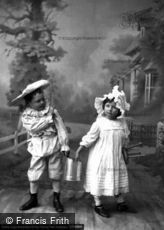 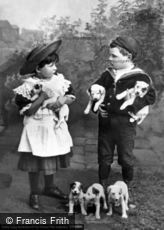 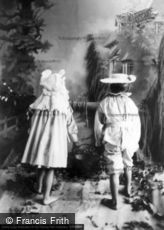 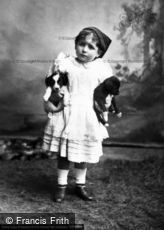 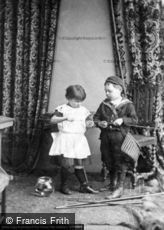 In the 1890s he had the innovative idea of taking a series of photographs illustrating well-known nursery rhymes, featuring his children Charles and Hilda as the characters. 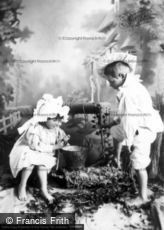 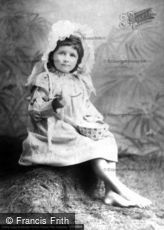 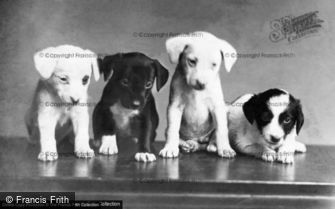 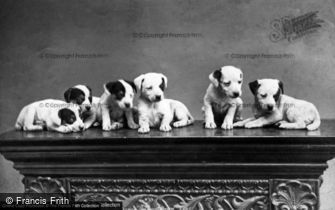 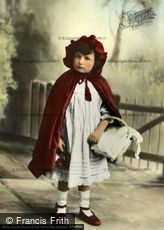 An article about his work published in The Strand Magazine in June 1898 declared that ‘the idea of telling nursery rhymes by means of photographs is as novel as it is pretty. 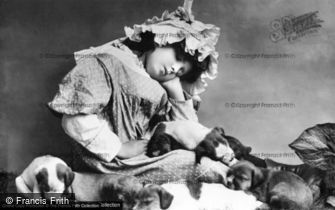 The credit of the idea belongs entirely to Mr. John H. Coath, a real artist in photography, who lives at Liskeard, in Cornwall. 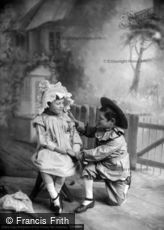 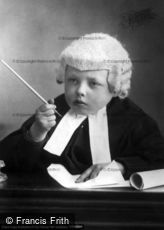 It would take pages of The Strand Magazine to convey anything like an adequate notion of the expenditure of time, patience and photographic plates necessary to obtain the results that Mr. Coath has achieved.’ The article went on to explain that ‘the juvenile sitters’ in Mr. Coath’s photographs ‘are the artist’s own children, and they have been trained to act and pose intelligently ever since they were the tiniest mites.’ Charles and Hilda Coath – and their puppies – also featured in a number of other whimsical studies taken by Mr. Coath that were immensely popular in Victorian and Edwardian times. 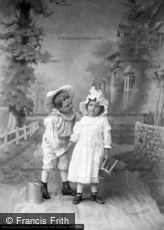 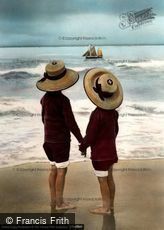 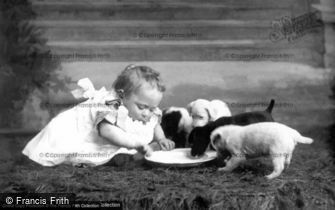 These vintage images are still in great demand today to illustrate greetings cards, gifts and prints, and are ideal for adding a touch of nostalgia to the decor of a child’s bedroom.